Each fall, the University of Idaho’s Distinguished American Indian Speakers Series hosts tribal speakers who have made significant contributions to culture, scholarship and the arts. 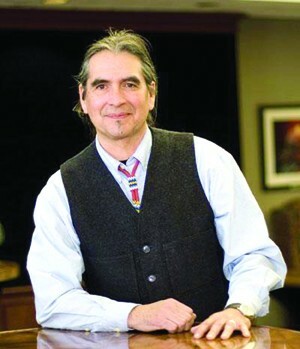 This year, in a presentation called “After Progress: Enacting Systems of Life Enhancement,” Dr. Daniel R. Wildcat will discuss humans’ impact on the planet, and he’ll use ancient Native American wisdom and nature-centered beliefs to advocate a modern strategy to combat global warming. Wildcat is a professor at Haskell Indian Nations University in Lawrence, Kan., and an accomplished scholar who writes on indigenous knowledge, technology, environment and education. A reception and book signing for Wildcat’s latest book, Red Alert! Saving the Planet with Indigenous Knowledge, will follow his presentation. Dr. Daniel R. Wildcat's presentation takes place at the University of Idaho Menard Law School on Wed, Oct. 19 at 7 pm. This event is sponsored by the University of Idaho American Indian Studies Program, and is free and open to the public. For more information, visit uidaho.edu or call (208) 882-0109.